Rachel explains what happened, and has many conversations on the bridge from the last 26 hours of the life of the El Faro from the NTSB Voice Data Recorder transcripts. The conversations on the bridge show a vital glimpse into what went on in the last hours. The recovery of the VDR from around 15,000 of water is in itself a very major feat. TOTE had been slashing upper management for some time to become more “efficient” one problem this created was a vacuum and left a management gap on evaluating the ships officers, the received little feedback parts of the job performance which created tensions onboard many of the vessels. The vacuum also allowed some back channel backbiting info to go up the chain that had a very bad effect on general moral of the officers and travel arrangements for those out of favor were routed it seemed to produce maximum inconvenience with many times multiple legs of the travel at odd hours of the day. Yes Hurricane Joaquin was more erratic than average, but still the decision to plot a course very close to the eye of the storm when other safe routes were available using old weather data was not prudent in my judgment nor was the decision to ignore weather concerns of the officers who had more current weather information than the Captain was using. There were more than one opportunity to alter course and put land between the El Faro and the Hurricane. While Captain Davidson had a lot of experience including time on the Seattle to Alaska route he was also noted for not taking feedback from the officers, in transcripts of conversations on the Bridge the officers were afraid to challenge the route of the captain and there was a glaring lack of training on the part of TOTE for Bridge Management part of which is how to get important feedback from your officers, the captain did not cultivate a culture that the officers felt safe to give feedback on safety items they were concerned about. Captain Davidson had also been passed over for promotion and had had issues at a previous company that caused him to leave abruptly and move to TOTE. A general problem in the shipping industry was that there were more officers than jobs, that lead to many officers sailing below their rank, so a lower officer might have more experience of be better qualified that the captain, that sometimes lead to serious friction, I have observed this problem in non-marine private industry and sometimes the atmosphere can be brutal. 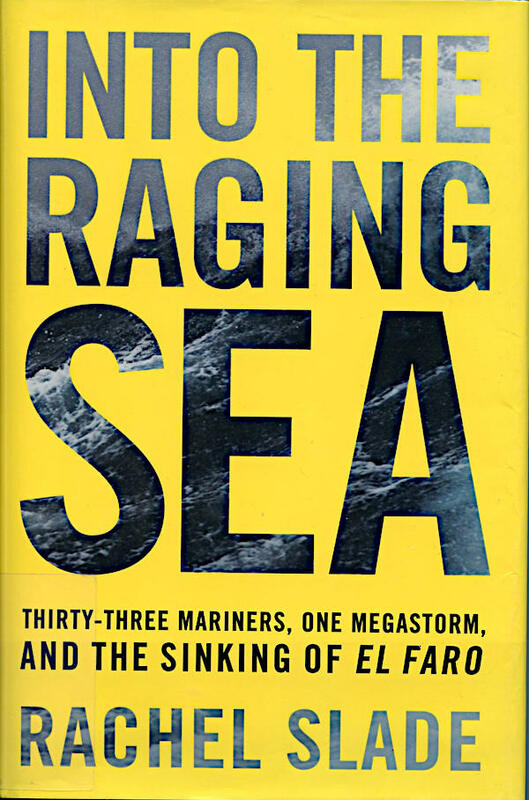 The inspection of the condition of the El Faro seemed to be substandard in several areas that made it more at risk to safety problems in heavy weather. The El Faro also had maintenance issues and was considered a rust bucket by many. When it’s sister ship was inspected in Tacoma before being allowed into the Seattle to Alaska route the Coast Guards small hammers used to check for the integrity of the metal plates (the hammer is banged on the plates gently and a trained surveyor can tell much from the sound of the tapping), the small hammers went right through some of the plates needed to keep water out of the vessel in heavy weather. After the inspection by the Coast Guard was completed TOTE decided to junk the vessel as it was too expensive to repair. During the NTSB hearings, Tom Roth-Raffy the NTSB Chief Investigator ask Peter Keller, EVP of TOTE was ask what the nature of the management failures at TOTE that led to the loss of the El Faro, the TOTE reaction was not to own up ANY of the many management failures uncovered during the investigation but to threaten a congressional investigation of the NTSB Chief Investigator forcing him to apologize and back down for just asking a neutral but pointed question. There were many causes for the loss of the El Faro from the poor condition of some of the systems designed to keep water out to not having documented safety guidelines, not knowing how much heel (tilt sideways) the El Faro could handle before the main turbine shutdown for low oil pressure. Some of the load did not appear to have been properly secured and seems to have cam loose in the heavy weather causing damage that allowed more water into the El Faro than the pumps were able to handle. Some personal safety gear was not issued to the crew such as a personal locator beacon (about $300) that would have helped the Coast Guard locate the lost crew members, lifejackets not on the Bridge where the crew could have put them on quickly (and yes jumping into the water in a Hurricane is not what I would call a sane move in 100 knot winds), outdated lifeboats that did not survive the storm and an emergency distress beacon (EPIRB) that was not GP equipped so when the El Faro went down and the distress signal was sent it did not contain the location of the El Faro limiting the ability of the Coast Guard to even know where to start the search. This entry was posted in Boating Safety, Safety Thoughts. Bookmark the permalink.